The J.F. Johnson Lumber Company offers high-quality, strong, and high-performing I-Joist and laminated veneer lumber (LVL) products. We have a dedicated full-time design team that is passionate about designing and cutting the engineered products you need. I-Joist and LVL products are a fantastic choice for your wood flooring or home construction project. Have any questions? Visit our location in Edgewater to chat with our designers and select the right engineered lumber for you. I-Joist are designed specifically to offer superior strength and uniformity in lumber. 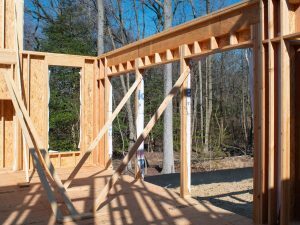 Each piece of these engineered products starts straight and stays straight, even pieces of I-Joist that are longer than traditional lumber joist (up to 48’.) All of our I-Joist are manufactured without camber, so you will not need to worry about a crown-down or backwards installation process. Each board is completely uniform in size and shape, and they are naturally resistant to twisting, warping, and splitting. As a result, your flooring will work harder, look better, and last longer. 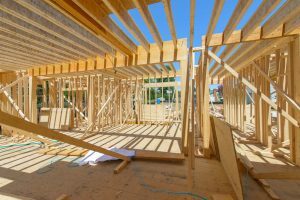 Beyond traditional flooring and roofing applications, I-Joist can be utilized as cantilevered joists in balconies, cathedral ceilings, high-pitch roof framing, and in expanding construction. Waiting for the catch? There isn’t one! On top of offering superior strength and uniformity, I-Joist are also lighter in weight than traditional joist and easier to install. This winning combination of this engineered products high quality saves you time and money. 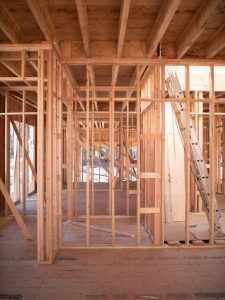 Since they are stronger than traditional lumber, you can space them farther apart while maintaining structural integrity, so fewer I-joist will build a typical floor. I-Joist are accepted by all major building codes. The J.F. Johnson Lumber Company stocks depths of: 9 ½”, 11 7/8”, and 14”. Our designers use iStruct engineering software for comprehensive in-house design with accurate drawings that can be printed or plotted. LVL is the best choice for beams, headers, and any other primary load-carrying members. LVL is designed to be thicker, wider, and longer than traditional solid sawn beams, so you have total design freedom. Most of the flaws found in wood have been eliminated with advanced technology, so you don’t need to worry about the twisting, splitting, and checking required with traditional beams. LVL is the best way to get guaranteed high performance every time. Laminated veneer lumber is made using superior-quality exterior adhesives and ultrasonically-graded veneers for a phenomenally strong final product. LVL offers you all of the advantages of wood without any of the defects. Since LVL is made stronger, it’s easier to work with and available in many different lengths and depths.